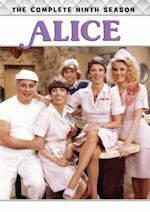 Welcome to SitcomsOnline Digest! 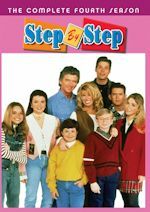 This week, we're getting closer to the release of Fuller House on Netflix, preparing for a new variety show on NBC, and more. Also, CBS is bringing more of The Beverly Hillbillies to DVD. Let's get going! CBS has released the second, third, and fourth seasons of The Beverly Hillbillies on a sporadic basis since 2008, and now, they're going backwards (a bit) to release The Beverly Hillbillies - The Official First Season. Previously available only in public domain releases, as well as from some decent (though not perfect) releases from MPI, this set will arrive on April 26. The Andy Griffith Show - The Complete Series (DVD, $84.98): The classic sitcom is re-released in this lower-priced collection. 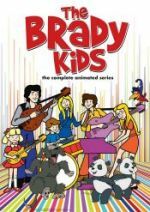 The Brady Kids - The Complete Animated Series (DVD, $29.98): The animated spinoff of The Brady Bunch arrives in this release. 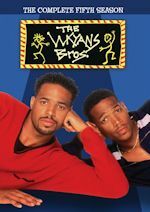 Family Matters - The Complete Fifth Season (DVD, $29.99): After a brief break in releases, the former TGIF series continues with this release. Sabrina, the Teenage Witch - The Complete Series (DVD, $59.98): The Melissa Joan Hart sitcom arrives on DVD as a complete series for the first time in this release. Who to Follow: Marcus Scribner (Twitter), "Son, Big Brother, Student, Actor & Gamer! Ck out #blackish Favorite books Steelheart & Firefight http://instagram.com/marcusscribner"
Claim to Fame: Marcus Scribner plays Andre Johnson Jr. on the ABC series black-ish. Born in Los Angeles in 2000, he just recently celebrated his 16th birthday, and the whole idea of "fame" is something that is relatively new to him. His first TV role came in an episode of Castle in 2010, followed by a role in New Girl in 2012, and of course his regular role began on black-ish in 2014. 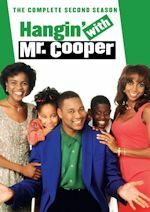 While he is still a child actor right now, we don't really know what will be next for him as his role on black-ish continues (the series is doing fine in the ratings, so we aren't seeing an end to that role anytime in the immediate future), but we're sure he'll have more to add to his resume as he ages.